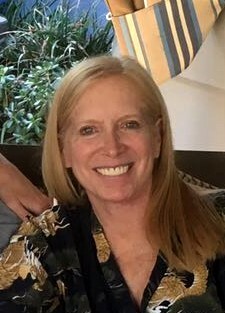 Jane Covner oversees the classical clients of JAG Entertainment, a Los Angeles-based public relations, marketing, and celebrity booking company. In her promotions for them, she has come up with some unusually creative ways to get timely coverage in the mass media. Violinist Joshua Bell’s famous incognito busking appearance in a Washington, D.C., subway station in 2007 came about in part due to Covner’s efforts to persuade an initially reluctant Bell to meet with Washington Post writer Gene Weingarten. His article about the experiment—which Covner made sure would run the weekend before Bell received the Avery Fisher Prize—subsequently won the Pulitzer Prize for feature writing. Another time, prior to a Bell performance in San Francisco in 2015, she placed an item in Leah Garchik’s San Francisco Chronicle column about entomologists at the California Academy of Sciences naming a new species of spiders after the violinist. Knowing that violinist Rachel Barton Pine grew up in a financially strained home, Covner encouraged her to make a visit to the largest homeless shelter in Washington, D.C., the Community for Creative Non-Violence, prior to her Easter concerts last year. That resulted in a PBS feature that brought Barton Pine to the attention of a whole new audience. As in the Bell experiment, Covner’s media coup was all about timing. “It may not have resonated as much if it hadn’t been around Easter,” she says. For a production of Peace on Your Wings, a musical about a 12-year-old victim of the Hiroshima atomic bombing with an unknown cast and production team, Covner went, in her words, “organic old-school,” creating a press kit in a box filled with paper cranes that flew out of the box when opened.